I know Anne Helen Petersen from her pieces on Buzzfeed. I follow her on Twitter. I subscribe to her newsletter. I knew I would be picking up this book I’m just surprised it took me so long. 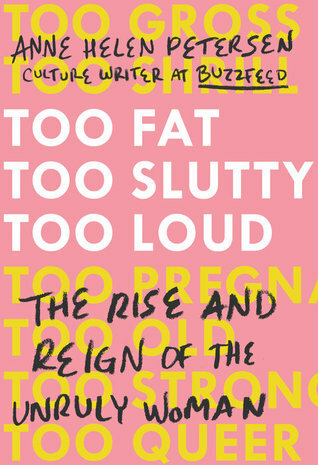 This book is comprised of 10 essays, each focusing on famous woman who is considered “too” something; meaning she has taken it upon herself to exist outside the boundaries of what society views as the appropriate way for a woman to behave. Petersen covers women from Serena Williams and Lena Dunham to Caitlyn Jenner and Hillary Clinton. She is deconstructing what it is about these women that makes people simultaneously love them and love to hate them. Petersen deep dives into how these women refuse to limit themselves by the societal norms so many people want to force upon them. This is definitely a book I’d recommend. If you follow this blog you’ll undoubtedly recall that I’ve been on something of a Marilyn Nelson kick for a little while. This particular collection of poems was a National Book Award finalist in 1997. The main themes in this book revolve around topics like race, love, and marriage, but the poems that spoke to me most were those that were reflections on motherhood. 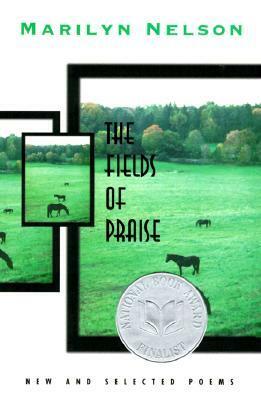 Reading The Fields of Praise I really appreciated getting a better feel for more of Nelson’s work. I’d certainly recommend this collection. 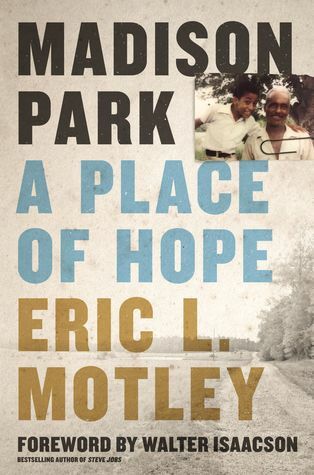 Madison Park: A Place of Hope is a memoir written by Eric L. Motley. I really enjoyed learning about the author’s life. He grew up in Madison Park in Alabama. Madison Park is a rural southern community whose founding father and namesake is Eli Madison. Eric came from humble beginnings and was raised by his grandparents. Welcome to Madison Park, a small community in Alabama founded by freed slaves in 1880. And meet Eric Motley, a native son who came of age in this remarkable place where constant lessons in self-determination, hope, and unceasing belief in the American dream taught him everything he needed for his journey to the Oval Office as a Special Assistant to President George W. Bush. Eric grew up among people whose belief was to “give” and never turn away from your neighbor’s need. There was Aunt Shine, the goodly matriarch who cared so much about young Motley’s schooling that she would stand up in a crowded church and announce Eric’s progress or his shortcomings. There was Old Man Salery, who secretly siphoned gasoline from his beat-up car into the Motley’s tank at night. There were Motley’s grandparents, who bought books for Eric they couldn’t afford, spending the last of their seed money. And there was Reverend Brinkley, a man of enormous faith and simple living. It was said that whenever the Reverend came your way, light abounded. Life in Madison Park wasn’t always easy or fair, and Motley reveals personal and heartbreaking stories of racial injustice and segregation. But Eric shows how the community taught him everything he needed to know about love and faith. This charming, engaging, and deeply inspiring memoir will help you remember that we can create a world of shared values based on love and hope. It is a story that reveals the amazing power of faith in God and each other. If you’re in search of hope during troubled times, look no further than Madison Park.